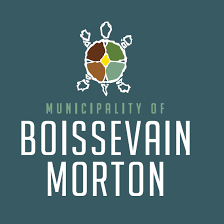 The Boissevain-Morton Recreation Commission has joined Book King and elected to improve their recreation management process by selecting the full suite Book King has to offer. Using all five modules will be the solution that the Boissevain-Morton Recreation Commission requires to effortlessly and efficiently streamline their facility scheduling, course enrollments, community registration and membership sales. The Organization will be utilizing a state-of-the-art Ecommerce and point of sale system to ensure customer satisfaction and peace of mind. By using the custom banner and CSS we have crafted, the Boissevain-Morton Recreation Commssion will have a personable, recognizable and elegant public access site. All these components come together to create a total recreation management solution from start to finish. We look forward to getting remote training started. Welcome to the Book King Family!